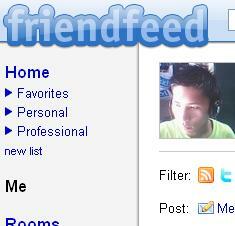 Today, I signed up for a friendfeed account. I also have opened a twitter account recently. Don’t know what to do next, anyway, just curious about these services, so I integrated this to my blog and my twitter account.